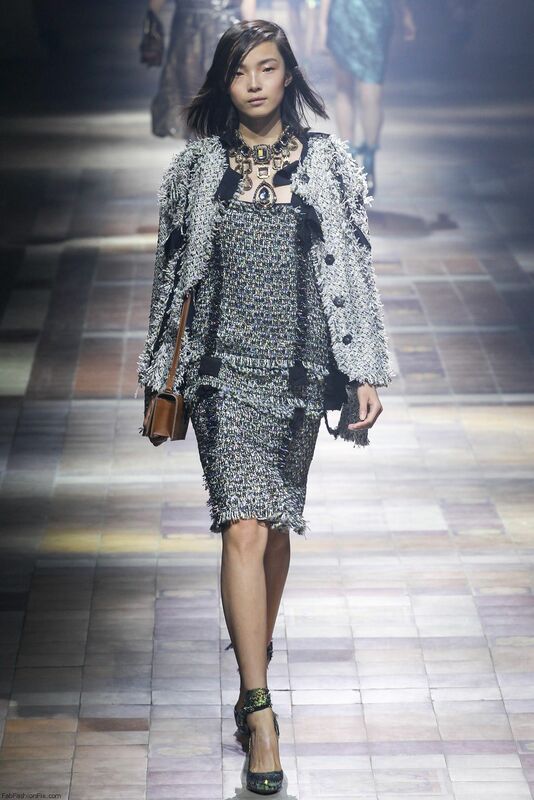 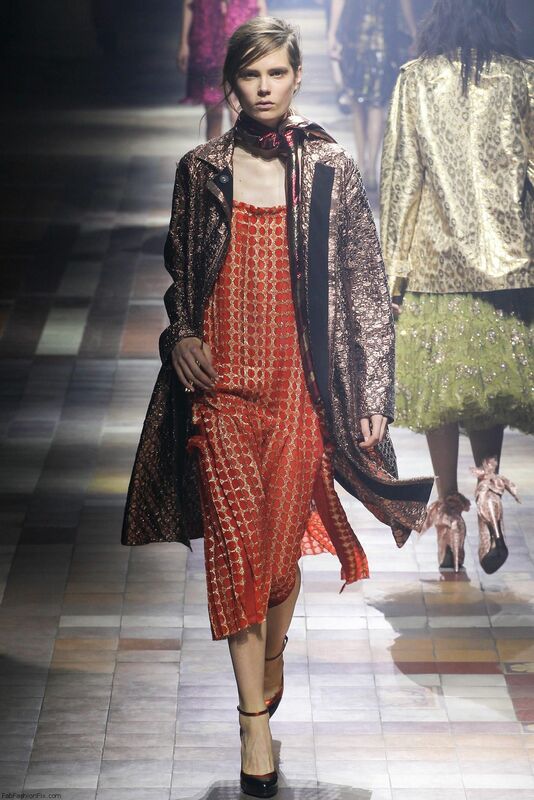 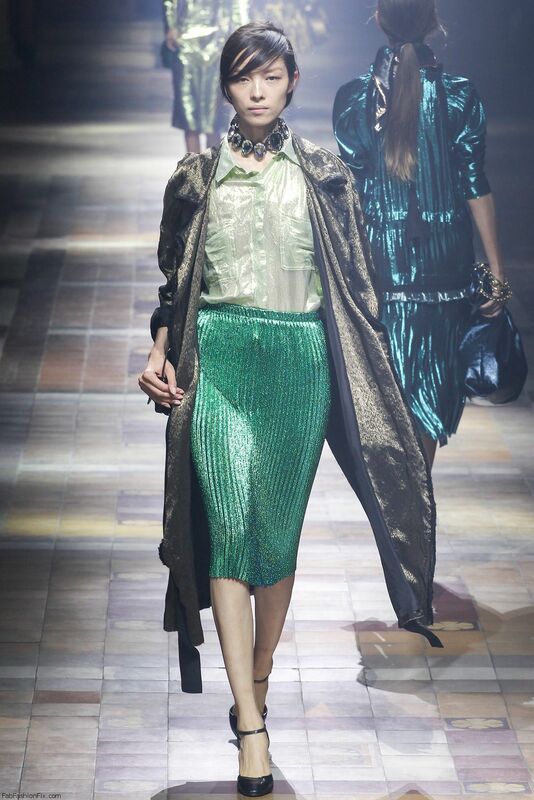 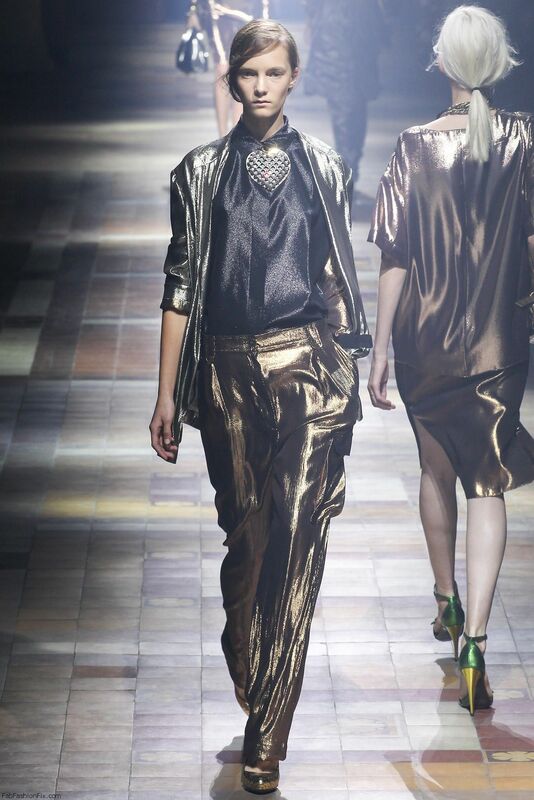 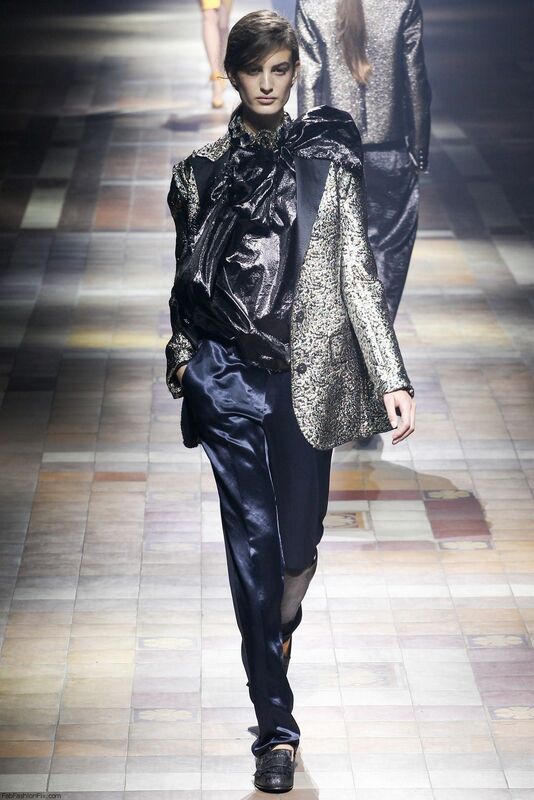 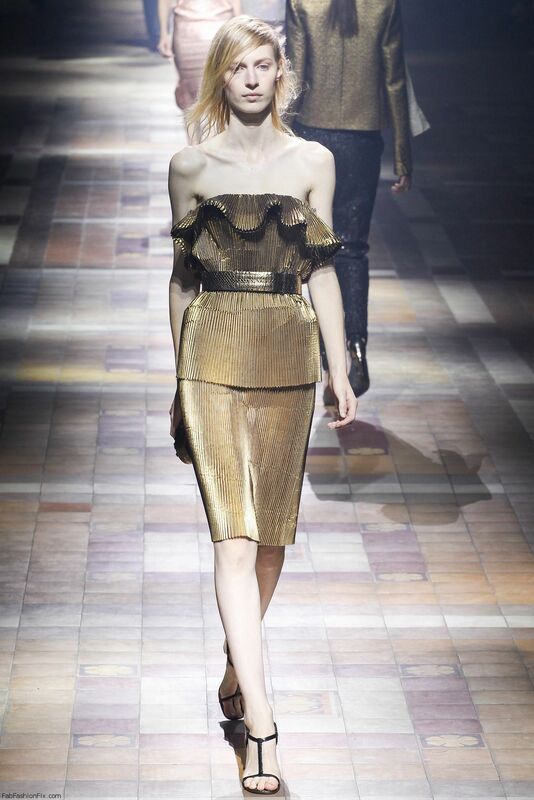 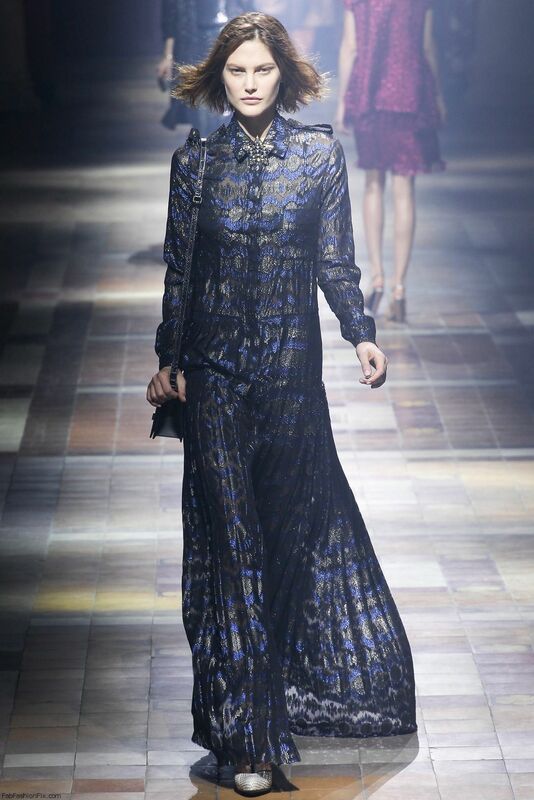 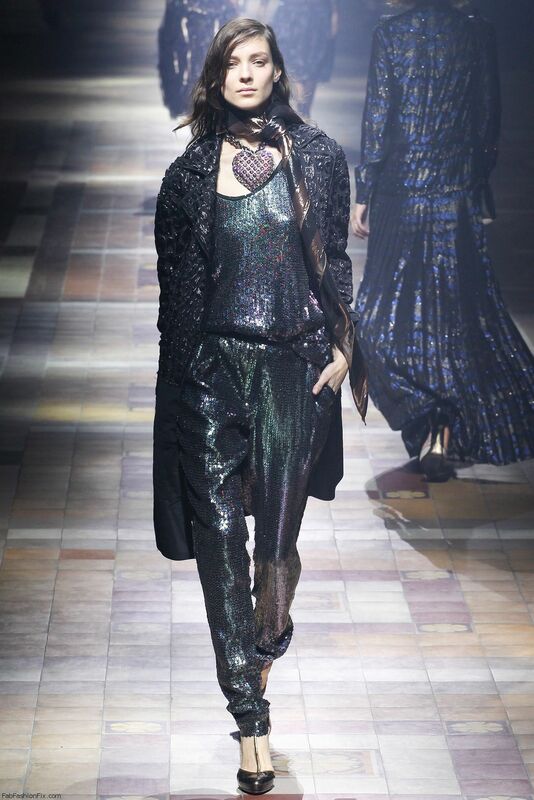 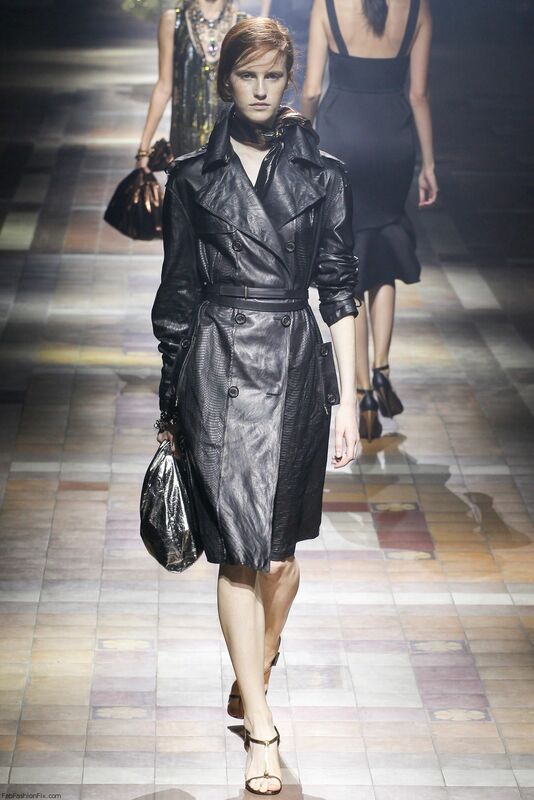 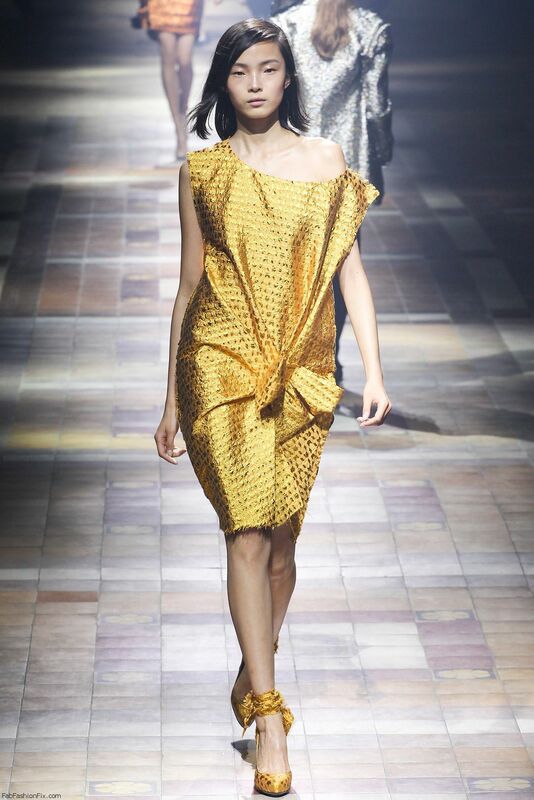 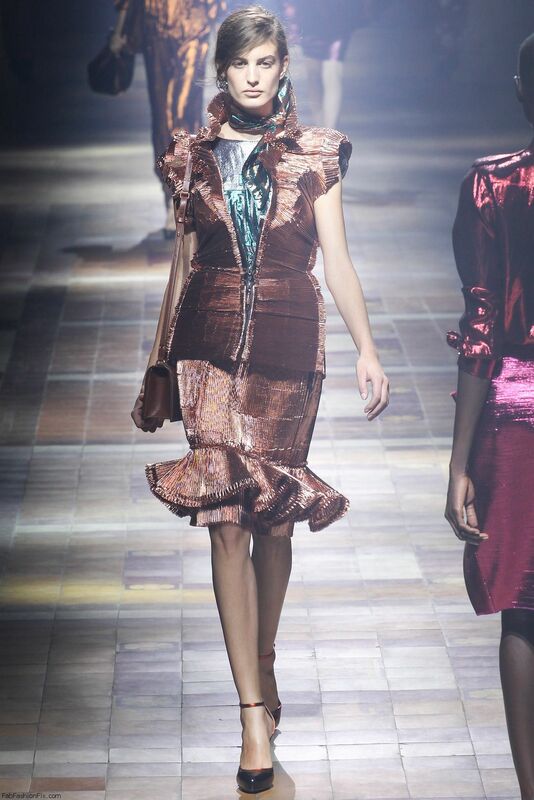 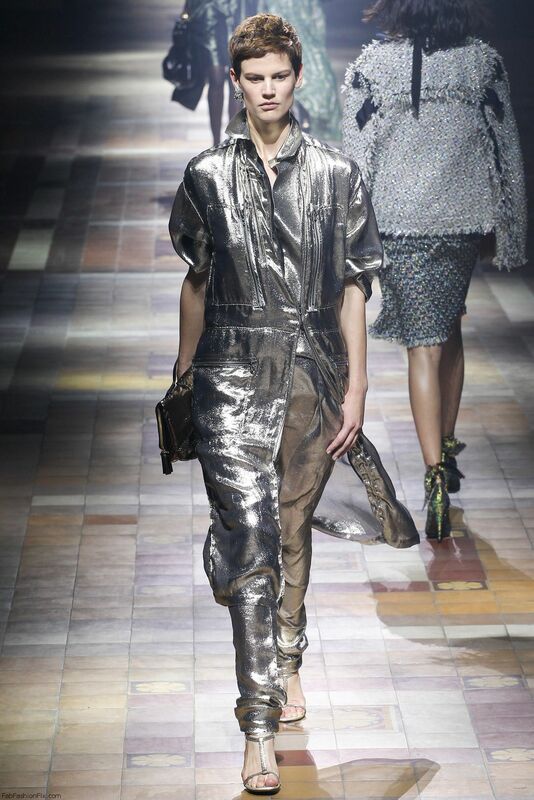 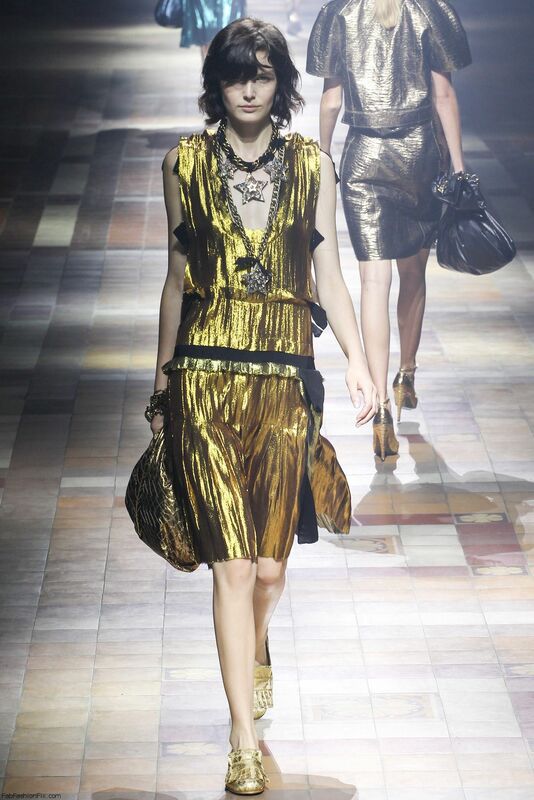 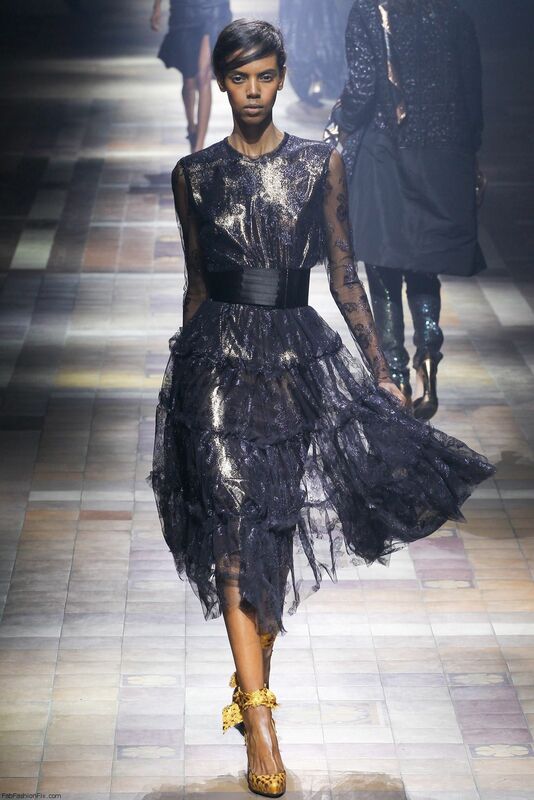 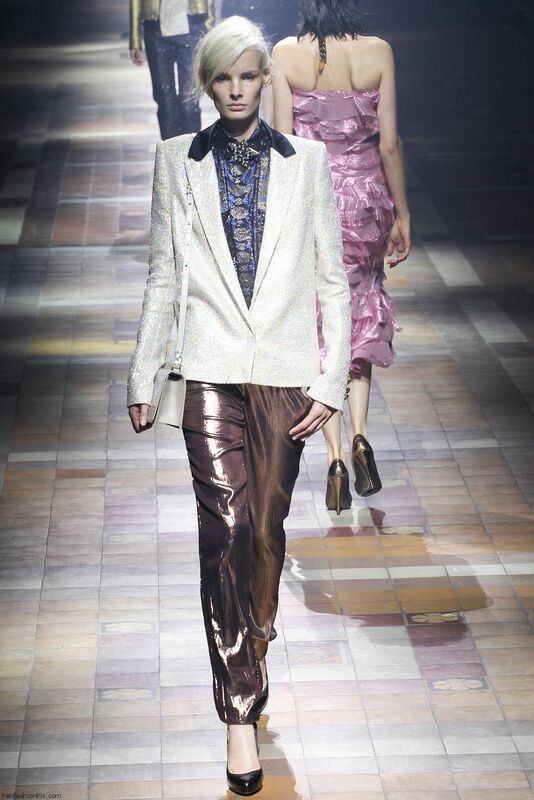 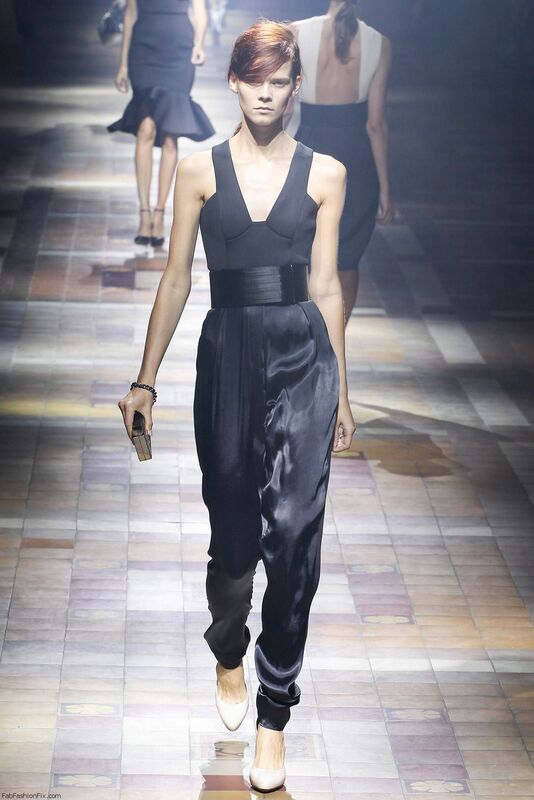 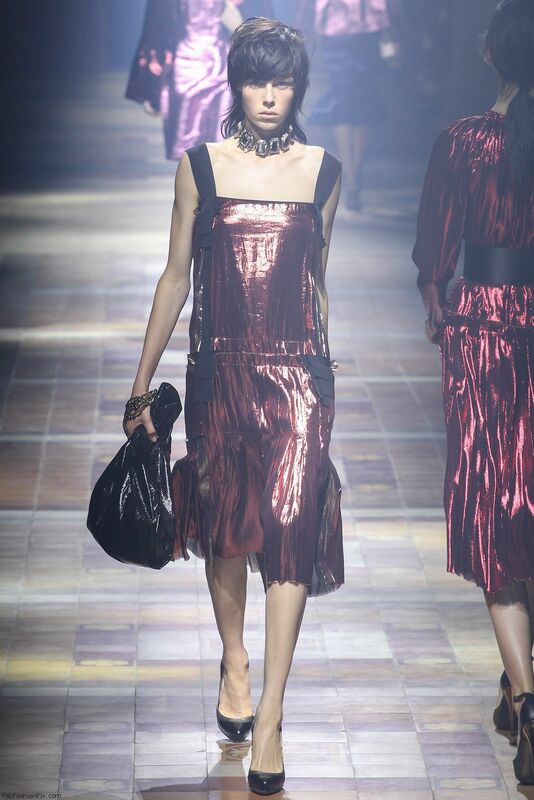 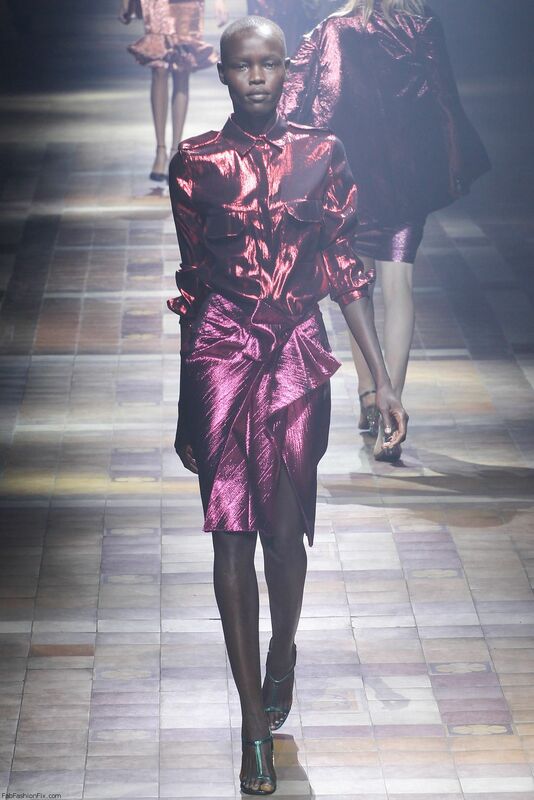 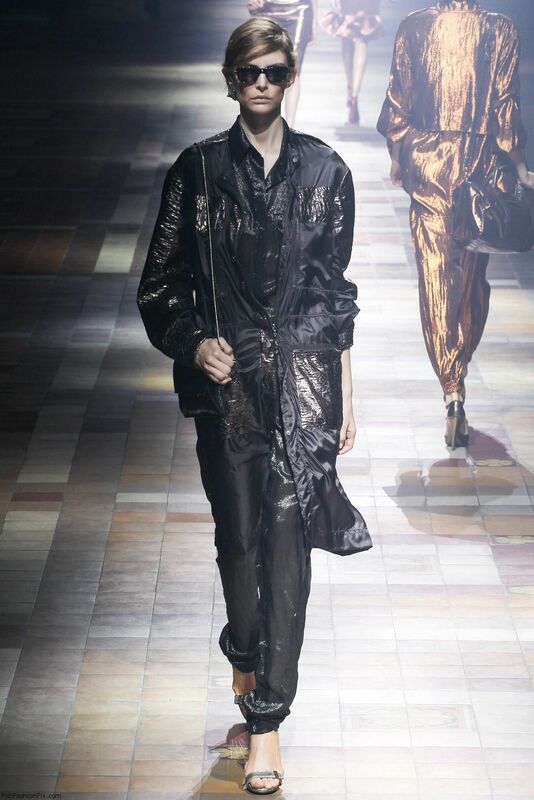 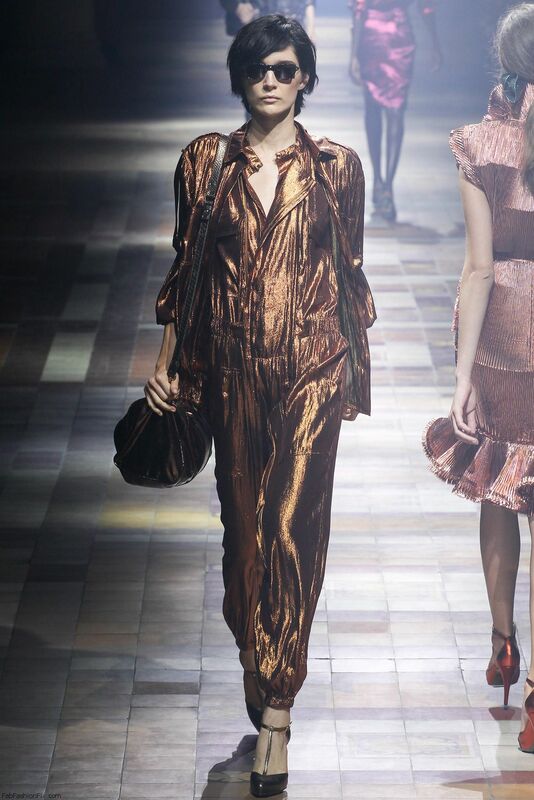 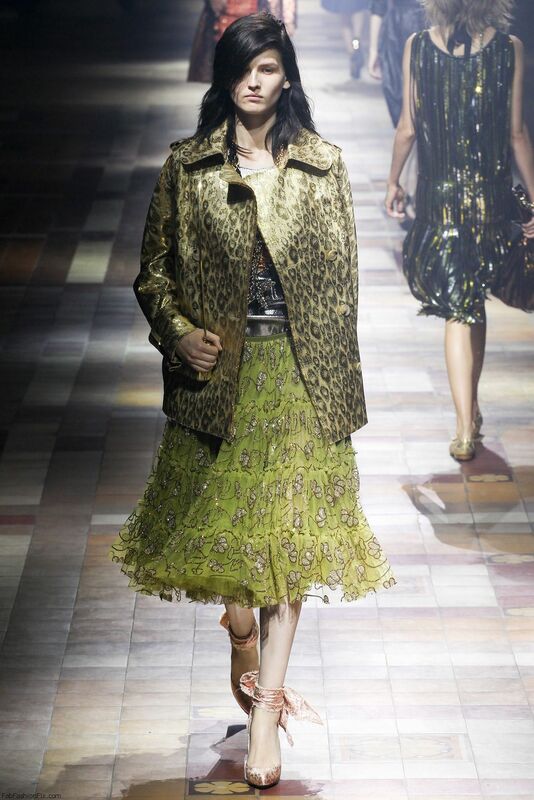 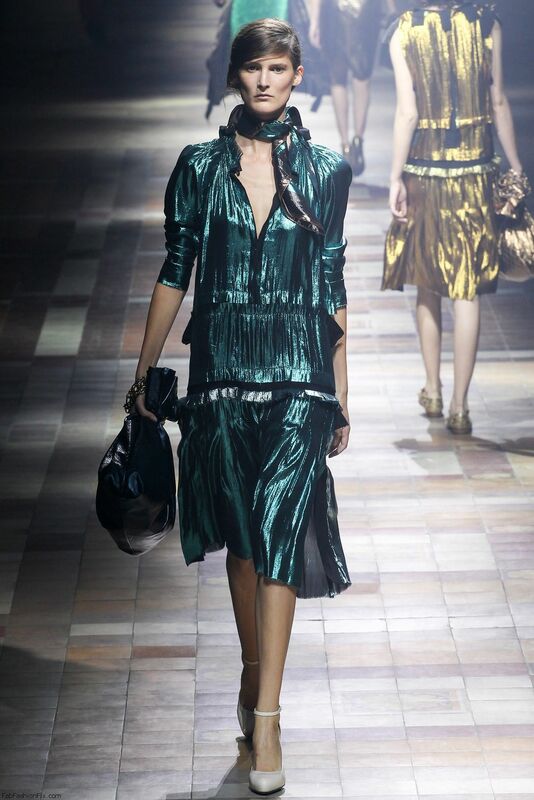 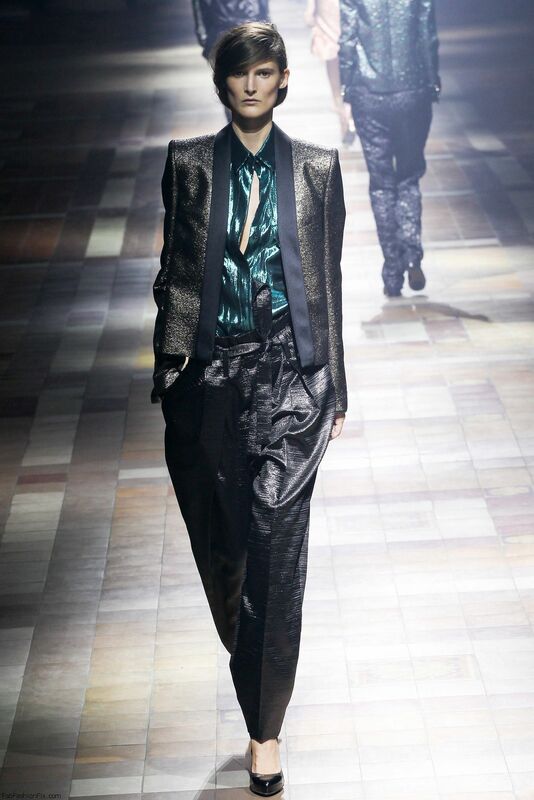 French fashion house Lanvin presented their spring/summer 2014 collection at Paris fashion week spring 2014. 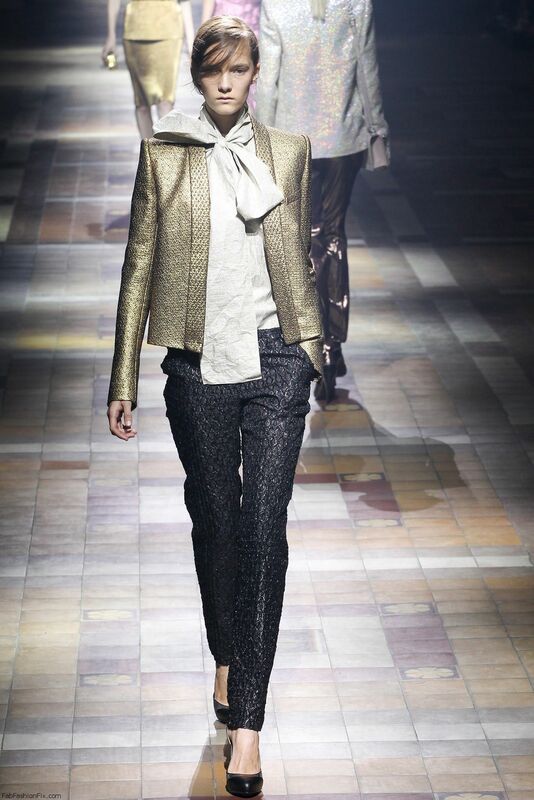 Creative director Alber Elbaz found inspiration for this collection in his notion of the perfect woman who is always chic and confident, no matter what age she has. 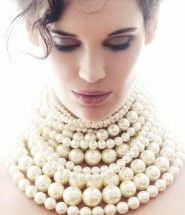 This woman loves her jewels and jewel tone colors. 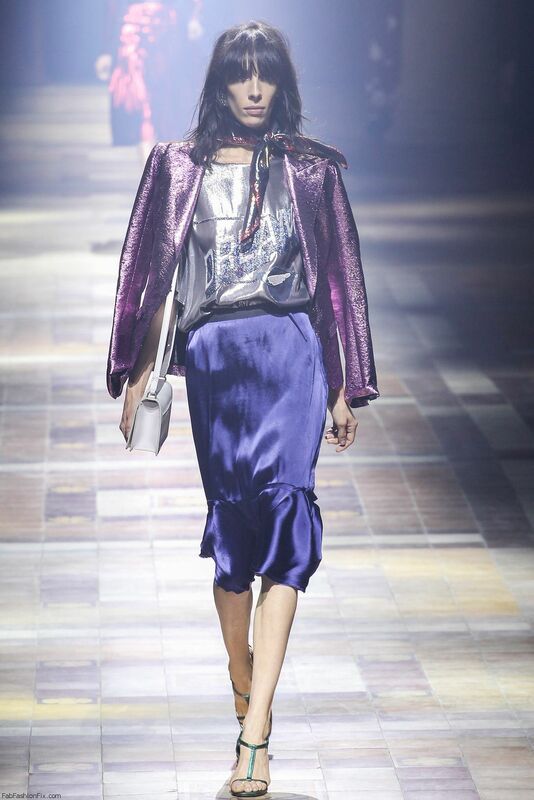 The opening look brought purple metallic jacket with satin skirt suggested that this would be very much daytime collection although there was much of the unexpected shine everywhere. 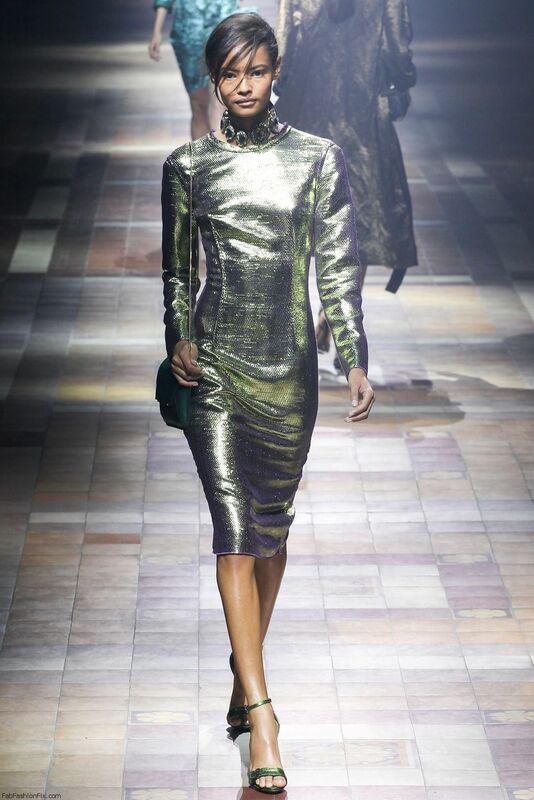 The shine and the metallic textures reminded so much of the disco era but still all of it was so unique and luxurious, not trashy as we usually associate with the word disco. 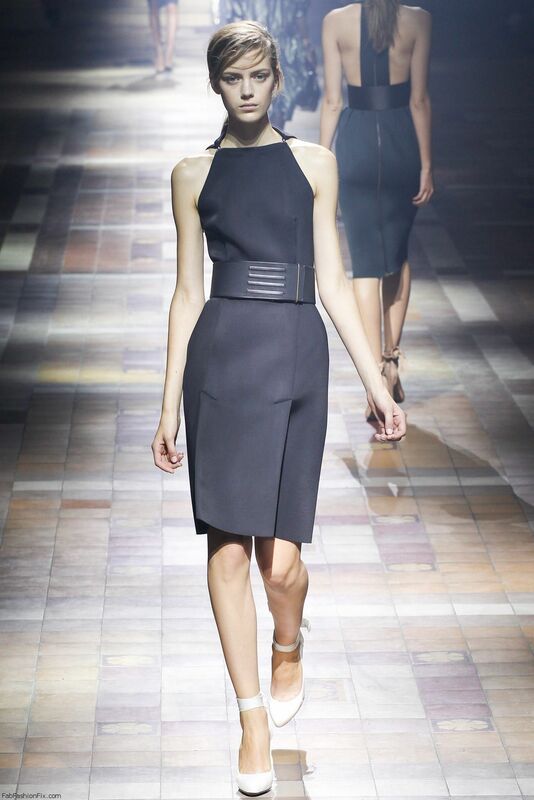 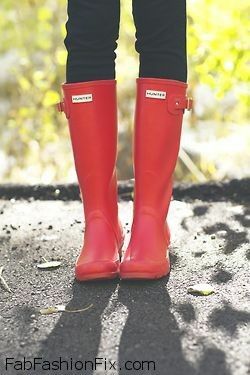 There were only five looks completely in black color and made of the new modern material neoprene.